In early December, I gathered with a group of neighbors in a Puerto Rican community to watch work begin on a USDA project to protect a nearby bridge. 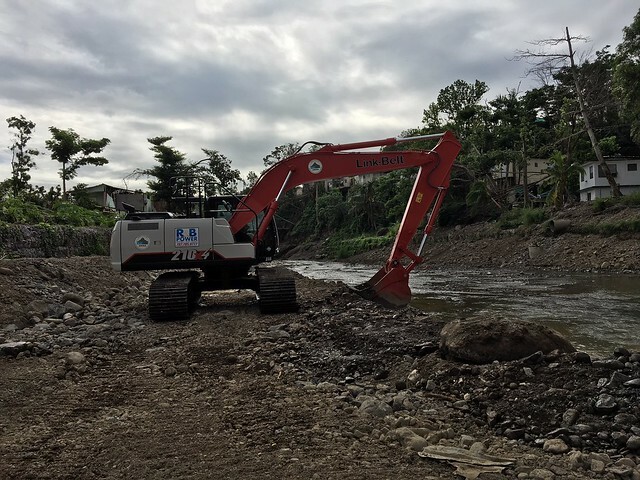 Minute-by-minute, the sound of rumbling equipment grew louder as the excavators emerged from behind houses, rolled along the debris-covered horizon and worked along the river’s edge. I was glad to be able to see first-hand USDA’s disaster recovery work after Hurricane Maria, including this emergency watershed protection project to aid a southern Puerto Rico community. The Coamo River project was the first day of post-Maria Emergency Watershed Protection Program (EWP) work in the Caribbean Area. Puerto Rico’s Department of Natural and Environmental Resources asked for assistance to protect the major bridge, threatened by flooding and heavy debris. The project, administered by the USDA’s Natural Resources Conservation Service (NRCS), prevented river flooding that threatened further damage to Coamo, a town with 40,000 residents. Through EWP, NRCS works with local government entities in impacted areas, to remove debris, stabilize streambanks and fix water control structures, among other practices. Requests for assistance must be made within 60 days of the storm event. The program can pay up to 75 percent of the cost of emergency measures. Projects must be completed within 10 days after work begins. I also was one of dozens of NRCS staff across the country who responded to assist with EWP recovery work in Puerto Rico, Texas, California and other states affected by recent natural disasters. EWP is helping Texans recover and protecting critical infrastructure from intense flooding after Hurricane Harvey. Many dams were threatened due to high winds and heavy water flow but remained standing, holding back dangerous floodwater and preventing further damage. In California, EWP is a major asset in helping communities protect life and property after devastating wildfires and mudslides. In addition to helping repair and protect infrastructure, NRCS provides vital assistance through a program to help install infrastructure intended to prevent flooding damages. Through the Watershed Protection and Flood Prevention program, NRCS assists state and local governments bolster protection of watersheds, using structures and conservation land treatments to reduce sediment and water runoff. In my home state of California, one of these projects near Carpinteria successfully captured the brunt of January mud flows after winter rain pounded a hillside scorched by wildfire. 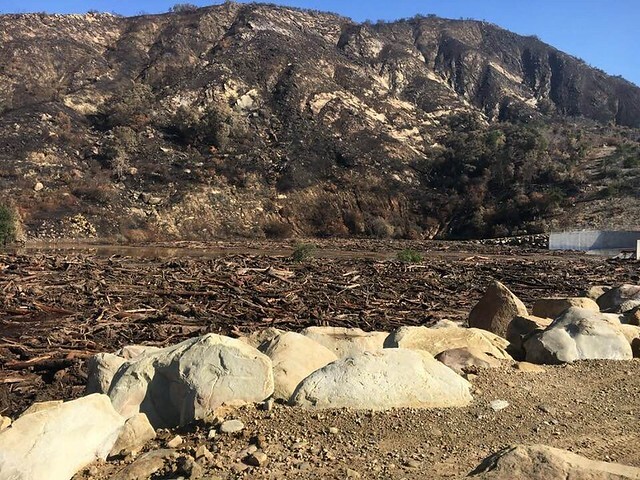 The debris basin, a structure installed by NRCS approximately 40 years ago, collected the debris flow that otherwise would have destroyed life and property. I am an unfortunate spectator to two of the largest wildfires in California’s history. I feel fortunate that being a USDA employee positioned me to be able to help our customers respond to the devastation. That experience has instilled in me a sense of pride in the resiliency of my fellow Americans and knowing that my agency immediately will answer the call for help. I'd like to see USDA move faster in repaying farmers for work and expenses we had from Hurricane Matthew in 2016, thank you. Thank you to Jonathon Groveman, and all of the others who have answered the call for help. These photos demonstrate such hard work and support!